The Call for Contributions is open and extended abstracts (2 pages maximum) are due by 31 January 2018. The prolonged and widespread impacts of human activity on river corridors have determined the degradation of many river ecosystems. In the last two decades, the concern over the ecological status of rivers has greatly increased, thus stimulating new policies oriented to river restoration and several tangible restoration efforts in many countries. However, in order to plan, design and implement more effective and more extensive ecological restoration schemes, our capacity to understand river processes and to assess, and possibly predict, the effects of restoration measures, needs to be improved. Fundamental questions are: what constitutes a successful river restoration action? Haw to correctly design the restoration strategy? Haw to quantify the results of restoration? 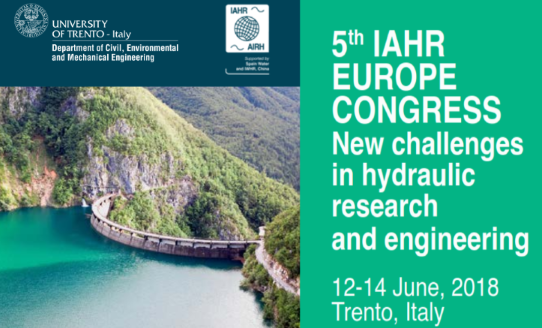 Specific topics of interest include, but are not limited to: evaluation and restoration of longitudinal continuity of sediment transport, evaluation of the impact of hydrological alteration (including hydropeaking) on aquatic communities, remote sensing techniques for the hydromorphological monitoring of rivers; methods to predict river evolutionary trajectories, approaches to support the design of river restoration measures developing synergies with risk mitigation strategies.